Balaji had to walk for almost three kilometers through the paddy fields to get to the school. His father, the only bread winner of the family, worked as a mechanic in the local mill. “Yes child,” his mother came from the kitchen and put a tiffin box in his bag. The bag sagged a little and Balaji was steadfast to notice it at once. “Amma, I think this bag will now tear. I have been using it for two years now; can't I get a new one?" Balaji quickly put his bag on his shoulder and marched to school. The harsh rays of the sun hit his eyes and yet he kept moving to reach school. Balaji was excited and had a sense of anticipation as most children would today, for it was the first day of the fourth standard. He reached school and entered his new class for once. He looked out of the window and he could see the mountains outside it. He then looked for a bench. Mohan, his friend and confidant was as usual sitting on the second bench, and had reserved a seat for him. Mohan quickly opened his bag and showed Balaji the new pencil box he had got. After he opened the box, Balaji saw a new eraser, two new pencils and a ruler. Balaji looked at his bag and felt rather sad and upset. The first day of school passed rather quickly, and he came home. He always liked walking back from the school to home, except that these days; he had to carry a gunny sack on his back. His father had put him on to a local mill owner and he carried about five kilos of raw material everyday. This earned them fifteen rupees per day. For them, that money meant that the grocery for one day would be taken care of. Balaji was quite tired today; and the incident of Mohan getting a new pencil box was playing on his mind constantly. On his way back today, he saw a man selling some hot idlis with chutney. He was tempted at once. He put his hands into his pocket and saw that he had thirty rupees today, as he had carried a small extra bag, given by the mill owner”s wife for him. She gave him ten rupees extra for the same. Temptation conquered his senses, and he playfully ordered for a plate of idli. Balaji almost finished eating, quick to relish every bite. When he came home, he came to know that his mother was having high fever and the other women were there to help. Balaji felt very shy in the company of the other ladies and quietly went to the backyard where he washed his hands and legs and then settled in a comfortable dhoti. He entered the room and sat in one corner. He gave a look at his mother while she just smiled and asked him, “Have you eaten your tiffin, child?" At evening, his father came home and his mother's health wasn't still looking good. Balaji somehow felt guilty for having eaten with the ten rupees and thought that the money would come handy for his mother's treatment. Little did his young mind know the financial pinches of life. His mother was taken the the local doctor who prescribed some medicines. For two days, she was completely out of action. Meanwhile, Balaji continued going to school. A new boy named Kamal had joined the class, and Mohan had got friendly with him. Increasing financial difficulties at home and the lack of interaction with anyone in school left him feeling terribly lonely. However, Balaji kept himself engrossed with domestic responsibilities. As Balaji screamed in delight, Kamal came near him and held his collar. Mustering courage, Balaji replied, “Bu..t”. “You scoundrel, just keep quiet and play”, he held onto his hand rather tightly. The sir and other students came to Balaji's rescue and once and the fight was sorted out. Tired, Balaji walked out of the ground and wiped his forehead, which was dipping with sweat. He sat at the entrance of the school and looked at Ramaswamy sir, his class teacher going out of the school. He gave a quaint smile at once and the sir reciprocated. This was the first time he was seeing his sir smile. He felt triumphant at this little gesture, and felt good from within. In his school, no student dared to talk to the teacher in a friendly manner. Relationships here were conventional and one couldn't go beyond the confined limits. Two months passed by and September arrived, the time for the terminal examinations. Balaji was well prepared and was confident that he will do well. Although he rarely got time to study as other things kept him occupied for most of the while, he was a bright student. The terminal examinations passed by rather swiftly, and it was time for the Deepavali vacations. Balaji was very animated because he remembered that amma had promised him a school bag this Deepavali. He eagerly waited for that day. Meanwhile, his mother was talking to the neighbour Shanti. “Don't think so much,” Shanti assured her friend. 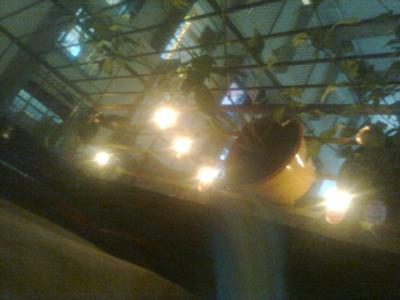 Finally, it was Deepavali. People in South India celebrate the festival with great pomp and grandeur. Early in the morning, Balaji heard his mother tell father, “Great a liter of milk extra as well as some sugar. I will prepare special sevai payasam today.” Balaji loved having payasam and was glad everything was going his way today. He was silent from the morning and did not demand anything from his mother. Nor did he question her about his new school bag. It was evening and time for Lakshmi Pooja. His mother had as usual invited his friends after the pooja for dinner. Balaji wore his new pant and a shirt gifted to him for New Year and looked at himself in the mirror and gave an innocent smile. Until the last minute, his mind was unstable thinking if he would get a new school bag finally. During the Laxmi pooja, his mother opened a plastic cover and gave him a dark brown colour school bag. Balaji's happiness knew no bounds. He was beaming with happiness and joy. After two years, he finally got what he wanted ever so badly. Meanwhile, Shanti aunty from the neighbourhood brought her children and Balaji showed them his new bag. Mohan had also come; and he gave a hug to Balaji. Today, he was in a mood of joy and forgot about his distance almost instantly. Mohan and Balaji bonded as they always did. And the children continued to play, joyfully forgetting the errands of life! Deepavali - A festival of lights celebrated with great enthusiasm all over India. Payasam - A sweet dish and a speciality of South India, cooked with milk and sevai or rice. Special mention: Although this story is entirely a work of fiction, I remain inspired by my father who grew up in Erode in Tamil Nadu. He has gone through the same hardships of life and is now an inspiration to many, most of all - to me. Told from a child's perspective, this story has to be childish. Isn't it? Also, in such stories, one has to be sensitive and understand what a new school bag means to some people who don't have it as opposed to people who take their luxurious lives for granted. Thank you for your comments. Well, this story isn't 'targeted' for any particular age group. However, of all the childhood experiences I remember, there were times when I was aware of the fact but I did not know exactly what to do. I tried depicting the same sense of 'not knowing what to do' through Balaji. Again, critiques are always welcome! Thank you.